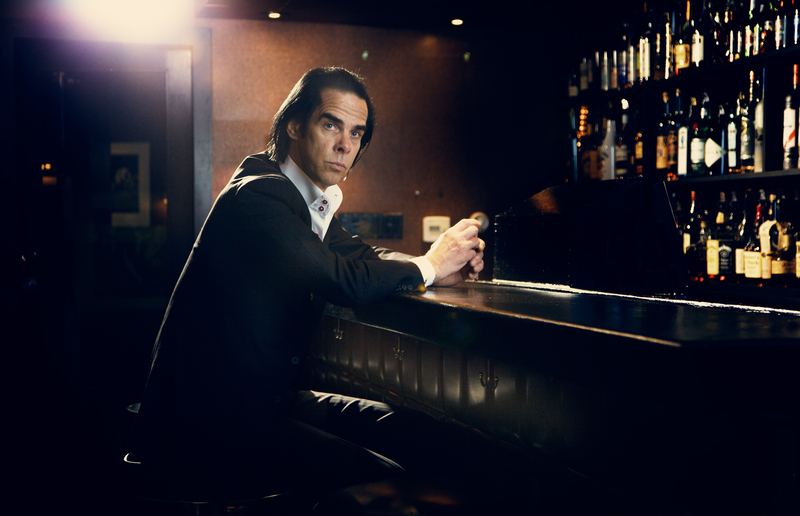 Anyone who has followed the career and imbibed the work of Nick Cave knows that his life has not been an easy one: his father died in a car accident when he was still a teenager; he endured alcohol and heroin abuse before defeating them; got divorced from the mother of his first son; outlasted the pressures and pains of fame (see the song ‘Oh My Lord’). Thus, when his son Arthur, the youngest, fell off a cliff while experimenting with LSD, Cave was re-acquainted with all the tragedies he had already experienced – only with new depths of pain that only someone who has ever lost a child could possibly know. Skeleton Tree can then be considered as the inevitable outpouring of grief that followed, but it must be said that a lot of the recording for this album was completed prior to the incident; it just so happens that the content, even the previously written work, fits so uncannily with the ensuing trauma. Without going into his personal state of mind, without guessing at the particular reasons and motives involved in the later creative process, we can all the same not review this album without bringing this context into consideration – it would not be the same album without it. This is what gives such a personal piece of art its identity; the tragedy envelopes the entirety of the record. Every moment is a monument to loss. Where the 2013 album Push the Sky Away owes its minimalist character in part to the departure of long-time Bad Seeds guitarist Mick Harvey, there is no escaping the reasons for an even more stripped-down, skeletal sound on their latest. To start with, the instrumentation is clearly a development that builds off of Push the Sky Away, with the same low, humming rhythms formed from electronic loops, vibraphones, and a litany of classical string instruments substituting for guitar-work; the songwriting moves along the same patterns, with orchestral movements building up to dramatic tensions before erupting into an emotionally-charged crescendo. This all takes place over a percussive scarcity, which, along with Cave’s delicately-played piano, give the soundscape a serene spaciousness, permitting the narrative all the room it needs. Cave’s vocals take up that space stylishly, almost selfishly in the sense that everything is orbiting and supporting his crooning, sensual voice; bleak and questioning, his singing is still further defined by a haunted intimacy, as though he were grasping for words at a funeral. Going back to an old staple of Bad Seeds technique, Else Torp is enlisted as a guest vocalist for ‘Distant Sky’, in which her elegant, classic style dominates, taking the song over with a soft and comforting sadness. With such support for the vocals, the emphasis is more than ever on the elusive, stirring, and starkly allegorical imagery of the lyrics; the inspiration behind these poetic monologues is never revealed, hidden as it is beneath chilling and bitter metaphors. On the other hand, in lines such as, ‘I had such hard blues down there in the supermarket queues’, we naturally wonder whether the speaker is speaking quite literally, as we can guess at the difficulty of going through mundane, public tasks when your whole life’s been turned upside down. At any rate, it would be impossible to mistake their meaning, even if their words were not intoned in the most miserable, solemn, and exhausted timbres. The song ‘I Need You’ epitomizes the desperation and loneliness, the shame and the sadness; the listener is plunged into a vat of emotion, listless and silent as Cave breathes relentlessly, ‘I need you, I need you.’ Other songs go into various levels of the mourning mind, the particulars of which we cannot elucidate with any certainty. The general meaning, though, is always doubtless in lines like, ‘In the bathroom mirror I see me vomit in the sink’, ‘Nothing really matters’, ‘All the things we love we lose’, ‘Nothing is for free’, and, most powerfully, in the words ‘Don’t touch me’, which remind us of the impetuous, conquering sorrow that renders even the compassion of others a blight.